Whoo- Hoo! 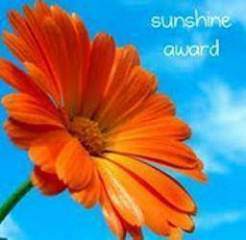 The Bouquet of Three Award! I haven’t been writing all that much lately. I have been feeling guilty about that. Since college finished for the Spring two weeks ago, I have taken a mini vacation of the mind and body. I stopped running and walking each morning and have really enjoyed creating in the kitchen, catching up on long phone conversations and taking my son to various doctors offices. It seems when one crisis passes another one just happens to open doors to opportunities and of course a large amount of worry. Well, enough about that in other posts! I did receive my freelance writer business cards on Wednesday and smile every time I look at them. Wonder if I will really take that leap and actually try to make money writing. My tag- line on the cards is “Freelance Writer Extraordinaire”, as if I am up there with Stephen King and J.K. Rowling. Still, going in strong and going out stronger is my motto. What do I have to loose? It’s a challenge, and I do love challenges! when I signed up to be a zombie, for a 5k run in Orlando. That run unfortunately canceled due to lack of participants; still, I bought new shoes and continued to run. Blogs like Beth’s, so full of inspiration to a new runner, give me greater confidence as I move throughout my day. Thank you again Beth! I am so honored! 3. Pass the inspiration on to 15 recently discovered bloggers. 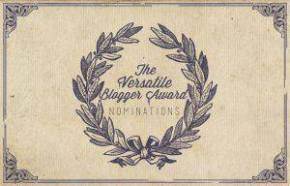 This one makes me smile, because I know 15 other bloggers will be smiling when they see they have been nominated! 4. Contact the Bloggers. Yep, I sure will! After breakkies though! 5. Share 7 things about yourself. 1. I am a dreamer. I have big dreams. 2. I am an optimist, a sickly sweet one! 4. I started going to college at 41 years old. I often give people the feeling I am a teacher. 5. I homeschooled my children for 15 years… see above. 6. I dye my hair! The auburn color makes my blue eyes pop and my fair skin shine. I don’t believe in ghosts; unless I write about memories that sometimes haunt me instead of make me smile…. This picture of an empty, shell of a home, abandoned, and the quote ( I LOVE quotes!) has me briefly reflect about my path. I told my aunt a few weeks ago, I have believed in one way or another that our souls are constantly changing. Looking for experiences to complete our path in this lifetime. Since our souls are energy and children of God (insert your name for our Life Force here) we are the likeness of HIM. He is spirit, Jesus will return “someday” soon, he died and is expected to rise again. Who says, we can’t too? I believe this picture invokes such thoughts. This house has ghosts of laughter and pain, joy of new beginnings and the sadness of death itself. Such is life and it’s experiences. None of us are immune. The windows of this house are gone. As if the love once felt here could not be contained and so the windows once closed are now permanently open. The remnants of the emotions left behind from each passing day, experience and thought are like this as well. There is nothing that holds a feeling back from being experienced or applied to a new situation you are currently dealing with. My children are an adult and a near adult; on the cusp between both worlds. My fondest memories are about how much FUN and how much I LOVE when I was raising them! The best years of my life were when I was a mom active in my children’s daily lives. Today, as in the last three months, I have been very hands off. I separated from my husband and agreed to leaving our family home of over 20 years. It doesn’t matter how many times we moved in the last year, the difficult transitions we all experienced in the moves or any of the arguments that we shared when trying to unleash our frustrations on each other behind closed doors, while pretending everything was ok outside the house we shared. This separation has been difficult on me. I have rarely ever been without another person living with me, sharing daily and hourly ups and downs. I miss so much those trivial interactions we took for granted and allowed to grow stagnant while we gnashed our teeth and roared at each other. ( Where the Wild Things Are by Maurice Sendak) Still, three months of solitude have taught me, I still AM LOVE. I seek it out daily in my interactions. I give it freely to others who need it and sometimes who don’t need it but want it. I am God’s child. This picture tells me this home held love and someday, someone will love in it again. This picture is a reminder I need to do that more often. The house is a ghost of the glory it once was. Small, yes. Perhaps for a newly married couple or a single adult trying his or her wings out for the first time. A starter home for sure, yet the possibilities abound. I once wanted to be an architect. Way back in the day, in middle school, now that I clear the cob webs from my mind. I use to doodle houses, along with clouds and trees and a section of fence and the sun with a couple of non – descript birds shaped like two up-side down hills attached. I dreamed about houses, getting lost in the myriad of rooms that never ended. I can conjure up some of those houses I tried to escape in my dreams. Funny, I loved and hated being lost in them! I loved the sense of adventure my mind while sleeping gave me. I hated the ever present anxious feeling of being lost and confused. I had these dreams during the first ten years of my marriage and during my teenage years. I was confused by their meaning then. Today I understand. The ghosts of doubt even then were screaming at me. My spirit guides and my God were telling me my path then was to be or was confusing, scary and my soul was sure I had gone off course. Yet, my children once again saved me from diverting too much from the course I was on. My daily reality told me I was on the right path in the present moment. Like ghosts and dreams that disturbed me at the time, I looked through the smoke screen and kept a diligent eye on raising my children. Of course I made horrible mistakes along the way. I was never the perfect parent and doubt I was any better than my own parents in the end. Don’t we always compare ourselves to them? So is this why I like the sharpness of well done architecture? The firmness and stability of a house or building? The thought that if a foundation is not sound, how the whole thing can and will tumble at any moment? This house pictured as possibilities. In my mind, I am already adding rooms off to the sides, a dog trot between the back wall and the new kitchen, a second floor and a wrap around porch. The ghosts of dreams linger in and around this picture like the haze of moisture on a summer’s day. I keep telling myself that. I am a perfectionist with my writing and a newbie of sorts in sharing my work with others. Although I am not looking for praise, I like most people LOVE to receive it. This house pictured reminds me that most things done in life that personally someone is proud of, should be shared. There should be a recognition of a job well done, even if it is you patting yourself on the back. I have to believe that with all my heart. If I don’t, I will not ever take that leap of faith. I will never let my beauty through words shine forth. If I don’t believe I am a writer, who will? If I saw this house in my travels and dismissed it as a pile of ruble not worthy of a new beginning, I show a lack of faith, trust or dream that this place can once again be a home. Well, if I turn that analogy inward, if I have faith, trust my abilities and dream about my lucrative writing career as if I am creating it right now, I AM A WRITER and a darn good one at that! Looking back to the picture, who am I not to believe this house can be a home once again? I AM SINGLE at 45. Never in my wildest dreams did I think this would ever, ever happen. Sure, I have thought about it, wrote about it, looked at single-dome as the grass must be greener there than here being married and miserable (albeit temporarily) type thinking, writing and feeling. I have breathed words that said, “Maybe we are better apart than together if we can’t find happiness sooner than later” because of MY FEARS. I look at my husbands parents who have been married 55+ years now and their constant daily bickering and wonder, do I want to spend another 45 years being like that? Trying to walk on egg shells around someone who can’t verbalize why I make him miserable? Point blank; my questions to how can I make him happier at home were met by his replies: “I don’t know”. What could I say to that? I sure didn’t guess the solutions correctly. A new term this week in my Human Relations class had me thinking. The term “Gateway” is used to describe how one addiction can lead to another; i.e., alcoholic’s often smoke as the alcohol addiction becomes a way of life. Sitting in class my mind whirls. I wondered, did trying to find ways to make him happy with me lead to a “gateway” of emotional abuse? I made horrible relationship mistakes. I allowed distrust and bitterness seep into our relationship through words and actions and perceived notions. I tried to redeem myself, but it only created more problems. Eventually, I was forced to leave a good five months before I was ready. I wonder if the occupant(s) of this home fled before they were ready. When does one feel ready enough to make a drastic life change? This, being single, doesn’t mean I need to be lonely or alone. It doesn’t mean I need to rush in finding a replacement life partner. In fact, my self imposed year might just manifest into a good 4 or 5 years of single-dome. At first, that thought scared the pants off me. I attracted a handful of willing suitors within a month’s time. My ego cheered about the attention. My sensible self whispered, not yet. Friends and caring observer’s cautioned and advised and I listened. Today, I am ok and comfortable about being single and alone, but not lonely. I am still mourning my loss, loving him still, always, but now at a distance. 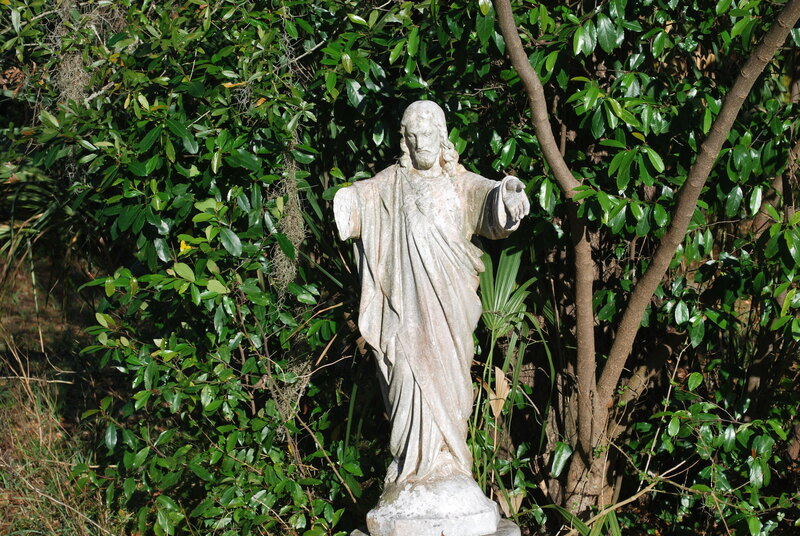 I am safe here, and my children whom I love more than life itself, are content where they live, with him. They thrive without me being there. Perhaps it is best for us all. Maybe I was too much in their lives and this temporary break was needed for all of us. A metaphorical cutting of the apron strings has occurred with this move out of the house. Perhaps the previous occupant of the house pictured felt the same way. S/he needed to leave the nest, test his/her wings and experience life in a new and exciting way. The house, temporarily abandoned, left in disrepair, has a chance to be someone else’s new beginning. Like a Phoenix, may we see death and re-birth as just that; one door closing, while thousands more opening. We just have to see the possibilities. I will finish this long post about a picture that created inspiration on this reflective morning. I live in a spiritualist camp. I never, ever thought I’d live here. One synchronistic morning while I was still sleeping in my marriage bed, I decided upon waking to go to church before going to work. Although I had several places to go to in mind, the church here was the closest to my home. I had attended a Spiritualist church in my hometown, yet I hadn’t really settled on one after moving near here. I didn’t have time to go to the UU church in the next town, which was my second choice. I was a little early that morning, so I decided to walk around the block. I saw a for rent sign and … well I am here! Like the home in the picture, I wasn’t sure this place was for me to consider moving to and it took me a while to agree to do so. It has been the best decision I have made. So, I will leave you with this thought… don’t be so eager to dismiss something at first glance. You will never know what you’re missing until you take that first step. 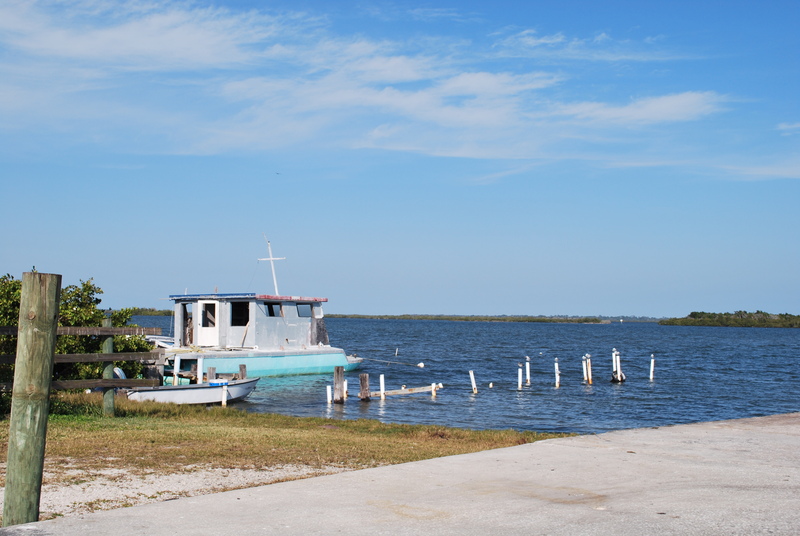 but chose to showcase this one as part of my subject line.Look at the road, the scraggly, patchy grass, the old boat and the blue water and cloudless sky. Take in the pier that was destroyed and the boat that has been neglected and forgotten. The blue, cloudless sky and fluid water denotes a new day waiting to be explored. A new beginning that must be taken one feeble step forward at a time. I do not know where life will take me and although I am making loose plans for my future I wonder if I am moving too fast and should stay anchored here while I heal my inner child and chase away adult demons. I fell in love with the man of my dreams this morning and find that hope of meeting him or someone like him could be possible. I know that anchorage would not benefit my healing so I will not pursue that thought other than chalking it up to a grain of hope in my future. 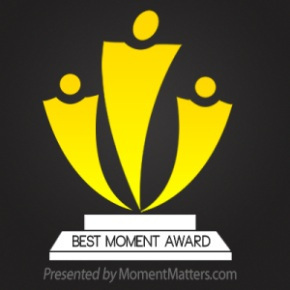 ABetterManProject post inspired me to think about my Bucket List in greater detail. I need to get get busy and quit this moping and procrastination that has taken over the better part of this week. I still feel like Jack Sparrows compass and feel the fear of lacking clear and true direction. Still, moving forward on this path doesn’t have to be all fearful like the road to Oz, one step at a time will give me glimpses of cloudless skies and fluid waters and I will realize the path is lined with gold after all. Thank you, The Better Man Project for giving me hope as I struggle to pry my hands off from a 20 year marriage that had held so much of me in it’s clutches. As I remove myself from the quicksand of it’s demise, I am finding hope in every new contact, every new day and having faith the size of a mustard seed. Like my name sake, “Phoenix“, I am constantly being reborn. Birth in itself is change and change is often uncomfortable and pain -filled, yet offers a new beginning I cannot ignore. May you find solace in change through hoping of a better future and continual betterment of your self. I want to be The Better Woman Project and in many ways I am finding my own way towards that path. 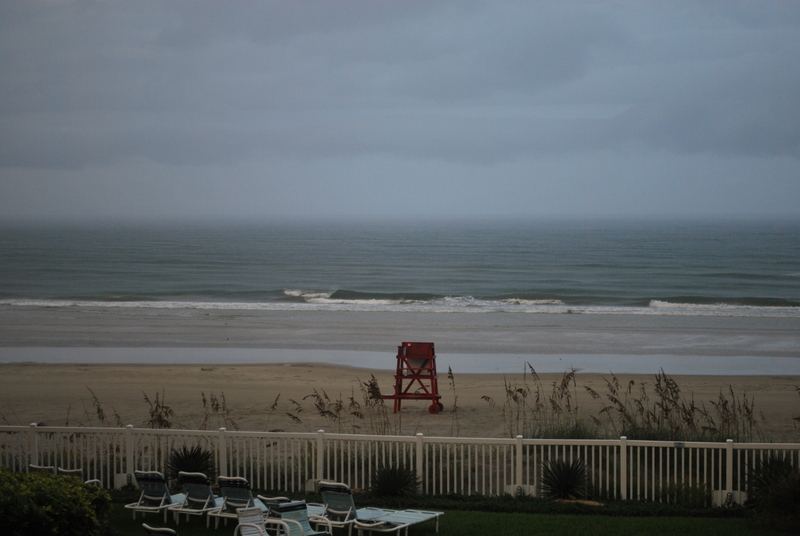 It is raining at the beach in Florida and I do believe this is wrong, as it should always be a sunny day at the beach. In an unsuitable or undesirable manner or direction: “what am I doing wrong?”. An unjust, dishonest, or immoral action. Act unjustly or dishonestly toward (someone): “the people I have wronged”. 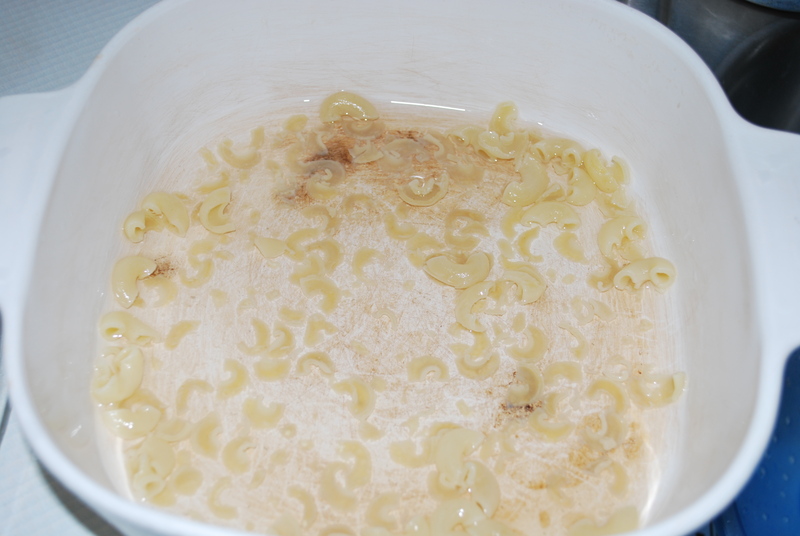 Although I am a good cook, it was wrong of me to leave the kitchen to look up recipes while the noodles happily stuck to the bottom of the pot. This is wrong. I have lived in this area for over a year now, walking my pampered pooch by this chained dog. 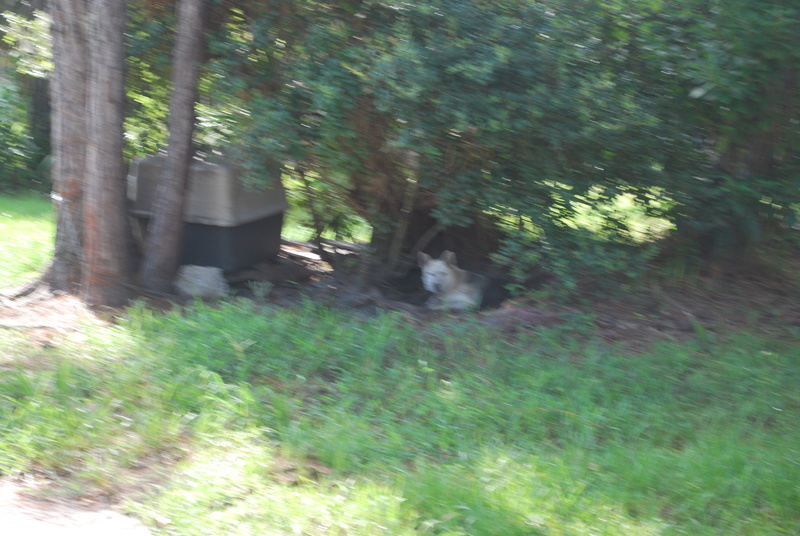 It took me a YEAR to walk up to this dog, who (if you can’t tell because this is a blurry photo) is a beautiful white German Shepard, to unleash her from her shackles. She is chained to the tree on the left, her shelter is the house behind the tree, I never see food out for her and water is seldom seen in a child’s sand bucket by the dog house. One night, right before dusk, I took a friend around to see her. We found her chain tangled and she could only sit without choking herself. I released her from the chain after a bit of struggling as it was very taunt from being tangled up; and the first thing she did was go up to the door of her owners home. I asked her to come back to me and took her four blocks away to my home but released her from there after my family started protesting. Two weeks later she once again is chained to the tree. Was it wrong of me to release her hoping for a better life somewhere else? Perhaps. I am finding out that being “wrong” is purely a matter of opinion. Some powerful wrongs are set in stone by humanity and society; others are set by the soul and heart. I personally do not believe I did wrong by releasing her that night. You might disagree.